EA's Travis Boatman, VP Worldwide Studios, recently commented about the adverse effects Apple's iPhone would have on the sales of mobile games. He moaned that, whilst the device was good, "it's a replacement for someone who had a Razr before. They still want their content but there's no distribution platform in place so there's a negative impact on the industry." Now, is that short-termism or the understandable fear of someone who oversees classic game development studios of being replaced by something else, namely online games. 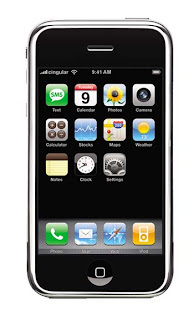 Because this is in fact what the iPhone is promising: a replication of the web on mobile. One could say, it's the entry of mobile 2.0. Online games on desktops became prevalent with the ascent of broadband and data flatrates. This is exactly the environment quite a few people predict for mobile, too. And whilst it was "World of Warcraft" et al that gave the EA's of this world the shivers on PCs, it is now the iPhone - but not because it's the iPhone but because it is the first device that, due to its intrinsically different approach (OS, touchscreen), focuses solely and only on the web as the fulfillment medium of content dreams. Moving from downloadable games (or other content items) to ones that can be played (or consumed) online reduces the complexity to users enormously. Due to bandwidth challenges, there are some constraints as to what can be played with a certain level of satisfaction online and what can't: as a rule, everything turn-based, casual puzzles, etc would appear to be adaptable, heavier, more action-related games can't. However, is this any different on the desktop or, for that matter, the console? Has anyone ever heard of online versions of Call of Duty or EA FIFA? No, because they would not translate in such a constrained environment. Now, Tetris (published on Apple's iPod by, guess what, EA), Zuma, Luxor, Bejewelled, Poker, on the other hand, provide a rather splendid user experience even when played online and, lo and behold, they are predominantly found as online games on the desktop, too. The same applies to other content sectors, too: prior to YouTube, the consumption of video via desktop was niche. One might watch a DVD on a long-ish train ride but who in their right mind would download shorter clips to watch them later (well, maybe with the exception of certain post-watershed offerings)? 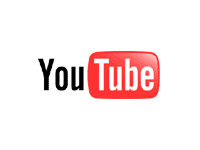 YouTube came and made it easy to consume AND operated in an environment dominated by an economical usage ecosphere, i.e. data flat rates and sufficient bandwidth, and off it went. For EA (and any other mobile games publisher) this may mean that, in the mid term (i.e. once now pertinent issues such as data charges, bandwidth constraints, etc have been tackled), users will go online on their mobiles, too, to play such casual titles. However, fans of more intense genres will continue to download. The challenge is therefore not so much someone like Apple and any of their products but the current distribution and commercial environment (namely regarding billing) that would appear to slow down take-up. So, yet again, the finger points to the operators who, from their position understandably (why would they be reduced to a bit pipe if they don't have to? ), are in the way of turning mobile into a media consumption channel like any other. The front is however getting diluted: more and more operators throw their data plans into the open and offer more generous plans to users (led by 3 who even offer dedicated Skype mobile phones with the respective data plan to come with it).